A unique variety of green macro algae that is native to nutrient rich areas such as bird islands, lagoons and protected shallow waters. It features a thick, tangled mass of filaments, resembling fishing line. 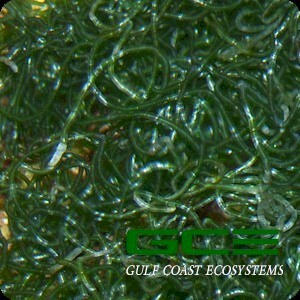 Chaetomorpha is very hardy in the aquarium and is commonly used by reef aquarium hobbyists in the refugium for nutrient exportation. In its natural environment, it grows in the inter-tidal zone often left completely exposed at low tide. Size is 1 quart.